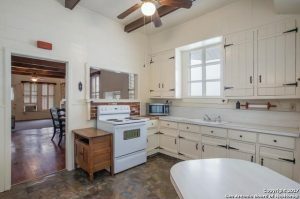 Don’t miss this opportunity to own a piece of history with this unique 1920’s cottage style home. Living and dinning have the original wood floors, custom shelving, wood beams, and tons of windows that provide great natural light. 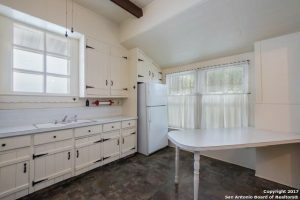 The kitchen has a pass through window to the dining, great cabinet space, lots of storage, ceiling fan, and extra counter space. Good size bedrooms and an office/study. So much extra storage and custom shelving throughout. 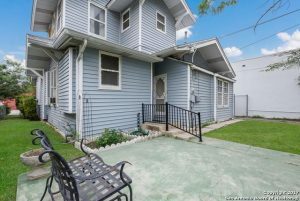 Large backyard with detached garage and storage shed. French Place, is one of the most desirable areas in the entire San Antonio Texas region. With excellent schools and a close proximity to the city. it’s an oasis just inside of the city. Thank you for reading about 1239 W French Pl San Antonio, TX 78201.